Innotec of WI, Inc. extended liner double coated and transfer tapes feature a finger lift edge which makes the removal of the liner quick and easy. 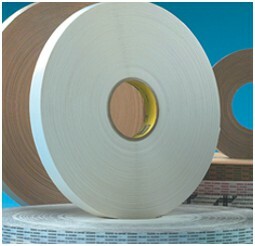 These tapes are available in flat pancake rolls on a 3" core or long length; spool wound rolls on a 6" core. 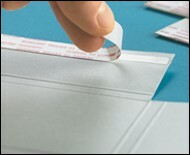 A200XL Clear, polyester film tape with a medium tack acrylic-based adhesive 3.5 94 oz. Permanent P.O.P. displays, badge ribbons, signage, splicing and laminating. Extended liner. 1076 Clear, polyester film tape with a permanent rubber-based adhesive with an extended white polypropylene film liner, excellent for hot wire knife cutting when side welding bags 3.08 123 oz. Permanent Permanent sealing of polyethylene and polypropylene copolymer bags. Ideal for courier and mailer envelopes. Can be used on barrier flooring underlayments. Designed to tear films up to 3 mil thick. DCT-83PR Clear, permanent/removable polyester film tape that has a removable rubber adhesive on the liner side and a permanent rubber-based adhesive on the exposed side with an extended 42# blue printed Kraft liner; the unique differential adhesive allows the clos 2.5 104 oz./11 oz. 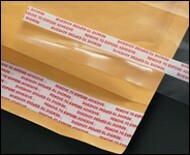 Permanent/ Removable Reclosable sealing of poly bags, mailers, envelopes, pouches and ID wristband. Also used for poster mounting, literature, labels and P.O.P. displays. DCT-84 Clear, polyester film tape with a permanent rubber-based adhesive with an extended clear polypropylene film liner with red printing, excellent for hot wire knife cutting when side welding bags 2.2 160 oz. Permanent Permanent closure method for polyethylene and polypropylene copolymer bags up to 2 mil where the closure can not be reopened without distorting the bag. DCT-85 Transparent, hand-tear tissue tape with a permanent rubber-based adhesive with an extended 42# black printed Kraft paper liner 3.28 123 oz. Permanent Permanent bag sealing, corrugated overnight boxes and packaging closure, adhesive finishing of printed materials, envelopes, stackable ribbons, business form presses and collators, core starting and P.O.P. assembly.